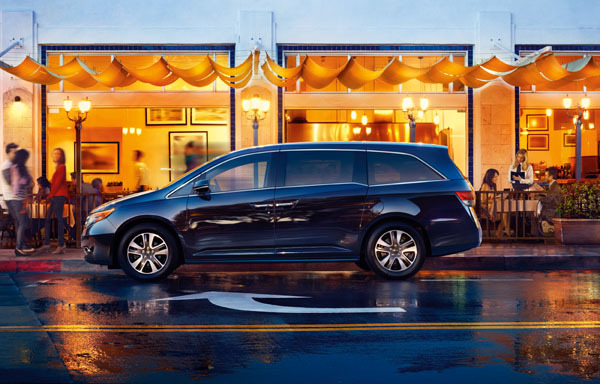 A 2014 Honda Odyssey recall was recently issued by Honda and the National Highway Traffic Safety Administration (NHTSA). The recall comes shortly after a recall for previous generation Odysseys, a whopping 86,000 of ‘em. This most recent recall of the 2014 Honda Odyssey affects nearly 25,000 models. Due to an electrical issue (a damaged shorting terminal), the passenger side curtain airbags could be rendered ineffective in the event of a crash. There have been no accidents or injuries associated with this recall, to Honda’s knowledge. Affected Odyssey models would have been manufactured between October 2, 2013, and December 16, 2013. Dealers will fix the damaged connector of affected models at no charge. Drivers of the 2014 Odyssey who might be affected will receive a notice from Honda at some point this month.